Passive Q2.0 neodymium powered blade/sidewinder type guitar humbuckers. The neck models deliver the unsurpassed bell-like, airy cleans the Q-tuner brand is renown for since the early nineties. Exceptionally well balanced harmonic response. The bridge models provide a higher signal level and are specifically designed for high-gain playing. Very articulate, even under heavy distortion. 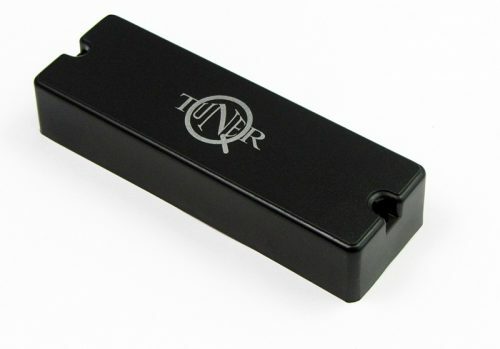 Q-tuner q2.0 neodymium guitar pickups provide a wonderful clarity through the mid and upper bands, thereby taking articulation and detail to the next level. The amazing touch sensitivity and extremely wide bandwidth covering four octaves make the Q2.0 the ideal high-end boutique pickup for the discriminating guitarist. Also available as a calibrated pair with a distinctive difference in electrical parameters between the neck and bridge model. Our pickups are handcrafted one by one to produce maximum output, dynamic response and an even more tighter sound. Great for all playing styles. Neodymium Q2.0 pickups are being made in limited batches rather than mass-produced. Therefore, delivery times may vary depending on demand. Method of shipment: registered priority airmail. We ship world-wide. Technical recommendations: pot value- 500 K or 1 Meg. Capacitor value- depending on personal preference. Connect the bridge to earth. 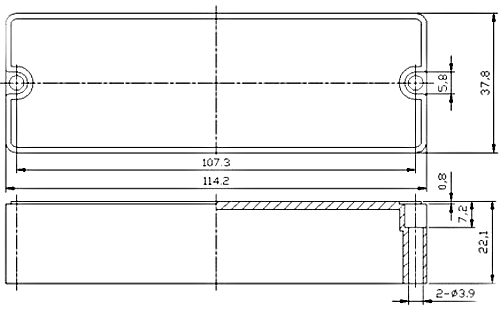 The pickup and electronic cavities must be shielded and grounded properly for maximum results. Please feel free to contact us with any questions you may have.